Rarely does an agent get the privilege of presenting a property that has been crafted and maintained to the level of 268 Evans Road Milford. This property is the complete package. Everything has been taken care of. Move in and enjoy this wonderful region. This property sits in one of the most desirable valleys on the Tiviot Brook. The home, classically styled, is situated proudly in the middle of the block surrounded by the most fertile creek flats the Boonah District has to offer. Offered to market for the first time in nearly 30 years, this wonderful home set upon 5.3 acres is packed with great infrastructure and sits in a prime location - nearby to the local shops; under an hour’s drive to Brisbane & the Gold Coast and within the Tamborine Mountain school catchment area, with bus service for all the local primary & private schools at the front door..
Set amidst the most peaceful environment, with a lush rainforest backdrop and overlooking neighbouring acreage with natural garden settings, this 3 bedroom home is surrounded by nature and enjoys a sense of space far greater than a quarter acre block would normally offer. If you are looking for a great value, low maintenance property then look no further. 20 Hiddenvale Circuit is the answer. Located with huge parklands at the end of the street just a couple of hundred meters away, you will find there is plenty to do and lots of room to spread your wings within this community. A landmark estate in Olde Eagle Heights capturing the old world charm and elegance of yesteryear whilst bringing all the amenities into the 21st Century. Enjoy the lifestyle this private, luxury retreat offers ~ set amidst 1.25 acres of beautiful easy-care gardens, which include a heated pool and Gold Coast views. In addition to featuring properties for sale, we have put together the best of the Scenic Rim. 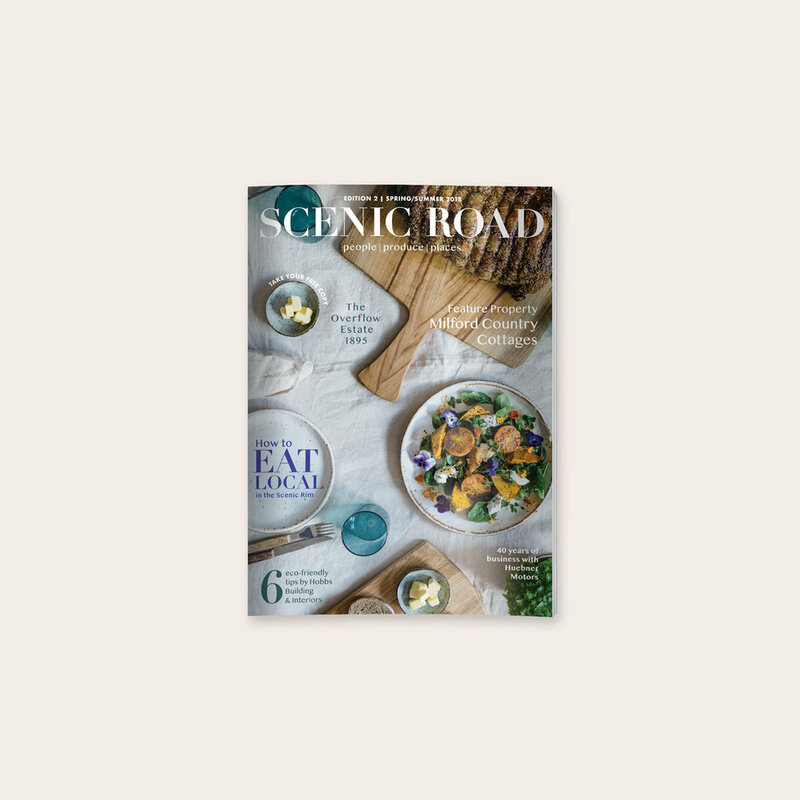 With a diverse range of industries from boutique farming, arts, shopping and retail, to accommodation, food and wine - explore this amazing region - with Scenic Road Magazine. Copyright 2018 by Scenic Road Living Pty Ltd. All rights reserved.